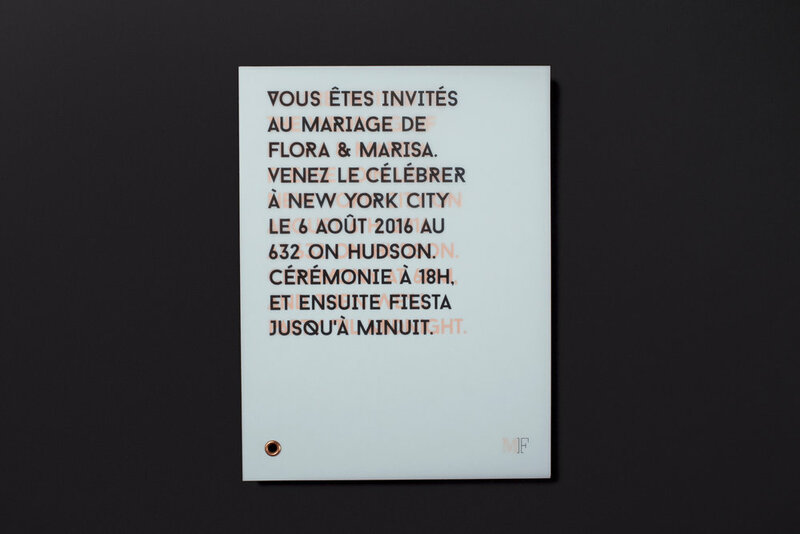 The wedding of our very own Flora Guillon to our dear friend and collaborator Marisa Baumgartner called for custom invitations and swag. A couple as comfortable in gowns as jeans, their marriage was not just that of two individuals, but also of two cultures. We celebrated the pluralism of heritage and style through a bilingual text and diversity of materials. Delicate letterpress and copper foil contrast with industrial type. 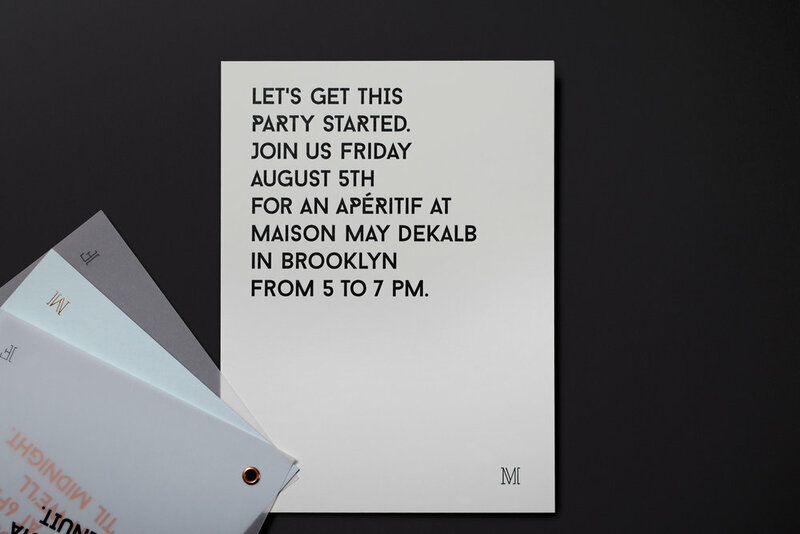 Matte black and light teal unite with soft white and craft paper stocks to create a layered but complimentary presence.